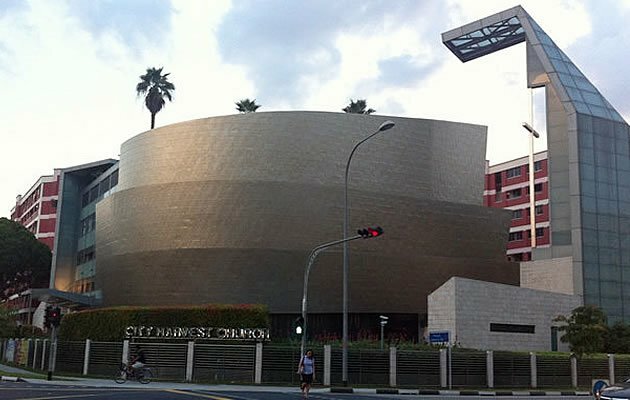 A City Harvest Church (CHC) member, Christopher Pang, has written to Acting Minister for Community Development, Youth and Sports Chan Chun Sing, alleging that the Commissioner of Charities’ (COC) statement on the charity is defamatory. Pang, an executive member of the church, took issue with how the inquiry revealed “misconduct and mismanagement” in the church’s administration, and added that the COC should apologise for the statement that was released on Tuesday (26 June). On Wednesday morning, five senior members of the church were charged in court for allegedly misappropriating church funds. CHC founder and spiritual leader Kong Hee, 47, and board member John Lam Leng Hung, 44, both face three charges; his deputy Tan Ye Peng, 39, and investment manager Chew Eng Han face 10 charges; while finance manager Sharon Tan Shao Yuen, 37, faces seven charges. These charges include “sham transactions” made to conceal the diversion of money from the church’s Building Fund to fund the career of Kong’s pop singer wife, Ho Yeow Sun, 42; as well as further transactions created to make it appear that the sham investments had been redeemed. In all, the funds involved total more than $50 million. But in his letter to the Acting Minister, Pang said that church members “have given voluntarily to the church” and added that the five accused have his “trust and support”. He also asserted that as a society, the church does not need to account to the public how its funds are used, and yet audited accounts are posted on its website for transparency and accountability. He also added he was not supportive of the COC’s decision to suspend eight church leaders – which includes the five accused and Ho – from their offices.